https://atlanta.bintheredumpthatusa.com/dumpster-rental-smyrna	Bin There Dump That Atlanta	https://atlanta.bintheredumpthatusa.com/img/franchisees/6.jpg	, Atlanta, GA	Contact us for more details. Discover how we make renting a dumpster in Smyrna, GA a simple and easy process. Bin There Dump That is committed to making the dumpster rental process for the customer a seamless transaction, from placing an order for the needed dumpster size to delivery of the waste container in Smyrna to an immediate pick up when you no longer need the bin on your driveway. Bin There Dump That offers a wide variety of dumpster sizes for all your waste removal needs. Every dumpster caters to a different project that you may be doing. 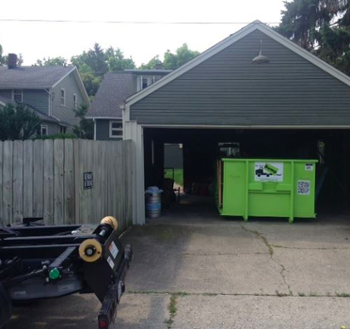 Minor waste removal projects require a smaller dumpster, so we offer and recommend our 4 yard dumpsters, 6 yard dumpsters, or 10 yard dumpsters. For hefty projects, such as restoring your home after a natural disaster, the 15 yard dumpster or 20 yard dumpster will serve as the most ideal selection. If you’re still unsure, you can call our Dumpster Consultant to find out which dumpster size suits you best. Loved my experience with these folks. Very friendly and genuine customer service, the driver placed the bin perfectly and very reasonable pricing. Will definitely come here next time I need a dumpster. When searching for a dumpster company, I struggled to find one that I could trust. The minute I called Been There Dump That, I knew I found the right company. They were friendly and answered all of my questions. They delivered the bin on time and were extremely professional. When the time came for the bin to be hauled away, they technician loaded the bin within minutes and left with no scratches or damage to my driveway. I was very pleased with Bin There Dump That. Looking forward to cleaning out my attic soon and will definitely use Bin There Dump That again. Bin There Dump That has taken great care of my family. I have used them more than 5 times and every experience has been terrific. They absolutely do not damage your driveway! Excellent customer service. Dumpster was delivered and picked up as requested. Bin was clean. 5 stars for sure! Been there dump that is far better than any other company I have used. Always on time and courteous and professional from the telephone to delivery and pock up. I was especially impressed by the field rep at delivery, far better than most. Definately reccomend! I've rented their dumpsters on the last 10-12 remodeling jobs I've done and they have always delivered when I needed it and when they said they would. They've been flexible with my pick up needs and have always taken great care of my clients driveways. Great company! From start to finish was an easy and pleasant experience. They worked with my schedule. Both the delivery and pickup drivers were very professional and took care not to damage the driveway. The pickup driver swept and cleaned the area around where the roll off had been sitting. Great company! Bin There Dump That was on time, efficient, and very helpful when we used their services. They were fairly priced as well. I would use them again for sure! I have been using Bin There Dump That for almost a year and I can say they are the best. When you call they are very curtious and very professional. If you need a dumpster why would you ever call anyone else! BTDT is the perfect accompaniment to our job helping our clients move. Their customer service is superb. They deliver when they say they will with professionalism and a smile. Also, their rates are reasonable. Will always call them when we are helping clients clean out and clean up! My daughter and I rented a dumpster to do some spring cleaning. We were shocked at the ease of the process and thankful for the help in choosing a size. We were amazed at how full our dumpster was, at the end of the week. The drop off and kick up was so easy, we weren't even home for the pick-up. We have recommended Bin There Dump That to our friends and will keep doing so. I have rented a dumpster from these guys several times. ALWAYS courteous and helpful. They make sure I order just the right size for my needs. Will never use a different company again. Prompt service and excellent prices, most reliable during my move from a home I lived in for 7years! They were excellent to do business with. Great service from start to finish! They delivered quickly and picked up upon request. Everything went off without a hitch. They went above and beyond and we will definitely be using them again as we move forward with our construction. 5 Stars across the board! This was my first time renting a dumpster. I was easy, no issues, no damage to property. Would use them again. Absolutely incredible service and experience. From booking my appt to delivery and the friendliness of the driver to quick pick up when I was finished. I'll always have "Bin there dump that" in mind for future roll off needs. Cheers! The team at BTDT was easy to work with and the experience was great. They arrived with the dumpster on time, placed it perfectly and pick up was a cinch. No hassle, no fuss, great experience. Will use them again! 5 stars! Great service. They were on time for pickup and delivery and I was very satisfied with the size of the dumpster provided. I have used BTDT on three separate occasions and have always been more than happy with the value and service. I'm a loyal customer and will keep coming back! This was my first time renting a dumpster. BTDT made it such an easy experience that I won't hesitate to do it again. The entire process, from placing the order to pickup, couldn't have been better. Everyone involved was professional, friendly & helpful. Love the fact that they protect the driveway. I highly recommend this company! What an awesome experience for such a daunting task. Cindy took my call for a dumpster and was the epitome of professional courtesy. She arranged for the dumpster delivery and even though we thought it would be much later in the afternoon, she worked some miracle and the dumpster was delivered and set up within the hour. The gentleman who delivered the dumpster was just as professional and courteous. The dumpster was clean with no leftover debris or even any smells from past rentals. When we were finished, the dumpster was picked up early the next morning. Again, exceeded expectations. Thank you to Kurt, Cindy and all of the nice folks at Bin There Dump That Dumpsters (Marietta). I have used several dumpster rentals in the past. However, the quality I recieved from BTDT surpasses them all! This company has great customer service.They were very professional. They were very friendly and the dumpster was very clean. I wasn't sure on what size dumpster I needed. But when i called they ask me a few questions and helped me figure out exactly what i needed. I highly recommend them and will use them again !!! I am a proud repeat customer of Bin There Dump That in Marietta for many years. I have always enjoyed dealing with them and they have always had very fair prices, clean bins and of course, great customer service! The dumspter rental always arrives on time and is picked up when they said it will be picked up. I couldn't ask for more! Thanks for being so reliable! Bin There Dump That in Acworth are great people providing a great dumpster rental service! When I called for a quote, their customer service person was delightful, friendly and very knowledgeable. The quote I got was fair and reasonable. It was very easy to order a rental dumpster and have it picked up when I was done. The delivery driver made every effort he could to ensure that there was no damage to my driveway. I couldn't be happier with their service! Known as one of the fastest growing cities in the State of Georgia, City of Smyrna has a population of over 51,000 and is one of the most densely populated cities in the metro area. Smyrna is located about 1 mile northwest of the Atlanta city limits and sits just west of the northern section of 285 and 75, close to Cumberland Mall and Cobb Galleria. Smyrna has the following zip cods- 30080, 30081, 30082. Dating back to 1832, Smyrna was a campground for pioneers. After the completion of the Western Railroad in 1842, the city began to grow. It was given its name in 1872, referencing the Biblical City of Smyrna. There were 2 Civil War battles that occurred in that area. The Battle of Smyrna Campground and the Battle of Ruff's Mill, both taking place on July 4th, 1864. The cities businesses, homes, and covered bridge were burned by General William Sherman's troops. The city's official symbol is the Jonquil, a flower that flourishes in gardens and the streets of Smyrna in early spring. In 2014, the city was ranked #4 in a study of the Best Cities for Young Adults. Smyrna is also an impressive location for school aged children as they have multiple high ranking private schools, including the Covenant Christian School and a satellite campus of Buckhead Prep Academy. Most festivals and events are taken place at "Market Village". There are also small parks throughout to enjoy the sunny summer days, such as Cobb Park, public pools to cool off and tennis courts! Extensions to the Silver Comet Trail have been built further into Smyrna to expand access to the trail. The trail begins in Smyrna and is 61.5 miles long, ending at the GA/AL state line. You can access Smyrna through several major roadways, such as 285, Cobb Parkway Atlanta Road, and South Cobb Drive. Smyrna is also serviced by Cobb Community Transit and the Marta public bus. Names you may know that call Smyrna their hometown are Bob Barr (US Representative), the well-known Julia Roberts (Acting), Ron Gant (Baseball, go Braves! ), and Tay Glover-Wright (Football). Bin There Dump That Dumpsters services the City of Smyrna and with it being one of the fastest growing cities in the State of Georgia, we look forward to visiting the city even more! Your local Dumpster Rental Experts Smyrna dumpster rental operator is Kurt Anderson.